My name is Tomohiro , but everyone calls me Tomo . I am 37 years old . There are four in my family. My wife, my two sons, and me. I am a Japanese teacher and run a guest house . I have been hosting many people who come to Japan for many reasons. Some come for short or long stays. Others come as tourists, exchange students, or as employees with jobs in Japan. 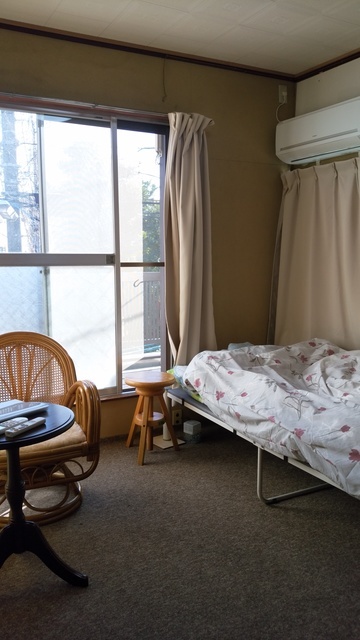 No matter what reason our guests visit Japan, we make it our priority to make sure our guests stay comfortably at our guest house . Also, we are enjoying with guests. for example, going to famous place, restaurant, shopping, and enjoying big events. We have only 5 rooms . So our guest house is very quiet , clean , and safe house . Also the house is the perfect study environment . The guest house is located near my house . Therefore , if our guests have any questions, problems, etc, we can help them anytime .We try our best to help. We have lomg term contract. If you want to stay for plase contact us for about monthly fee. Easy access to and from narita and haneda airport by JR and keisei line! Ichikawa isn't far from the main attractions that Tokyo has to offer! Akihabara 18min, Tokyo sta 20min, Asakusa 25min, Shinjuku, shibuya, harajuku, and many other locations are also easily accessible! A large supermarket is located in front of Ichikawa station. Surrounding the said station are also restaurants, drugstores, and a large shopping area. So finding what you need shouldn't be a problem! Also located at the station are bus stops for buses heading to and from haneda airport. Within the city of Ichikawa, is a large park situated along a lake. Great for jogging! There are also a public bath and a coin laundry a couple minutes away for your laundry needs.